With the vast resources of propaganda and surveillance now available to our rulers, there’s no need to imprison citizens’ bodies when it’s so much easier to “imprison” their minds, writes Ed Finn. Rising Tide Theatre strikes again in hilariously highlighting the absurdity of N.L. politics. But is it a foregone conclusion that there’s nothing we can do about the pitiful status quo? The Liberals’ book tax is part of a bigger, disturbing pattern. Don’t worry about Trump and proto-fascism in the U.S.
Worry about what’s happening in N.L. and in Canada. Minister Gerry Byrne’s recent comment that the filibuster served as a deterrent for women entering politics told only part of the story. 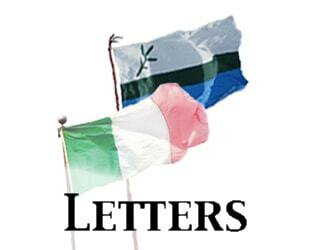 An anti-austerity manifesto for N.L. James McLeod’s account of the past two years of provincial politics is both irreverent and thoughtful. And that’s precisely the problem with it. There’s a lot to be cynical about in light of the way politics is done these days. But, just before voters head to the polls in Newfoundland and Labrador’s 2015 general election, a new party has emerged to offer some words of encouragement and let us know there may be a fourth option in 2019. During the federal election campaign the Liberals were patient and stayed out of the gutter, and delivered a positive message — which is what Canadians wanted. Here are two things Justin Trudeau’s Liberals ought to do right away. Plus, a warning for the provincial Liberals. Opposites attract, except when you’re Conservative leaders speaking out on the role of public servants in politics. Everything is not awesome and everyone knows it. Our elected politicians’ behaviour online demands scrutiny. Is NL about to repeat the worst mistakes of 20 years ago? Privatization will cost the province—and its taxpayers—much more than if we keep services public.